Seeds. We see them everywhere this time of the year. So many choice and decisions to be made. You’ve decided this year you’re growing a garden. Even if it is just a few plants in containers on your deck, it is possible to grow your own food. You’ve looked at the hardiness zone map we discussed last time and you know your zone! You’ve picked out a binder for your master plan and perhaps you have looked at a garden magazine or two. You have a few ideas of what your vision is. You may have an idea . And if you are considering starting seeds at home you should really start a few flowers as well. It is a very cost effective way to have a spectacular show of flowers for just a small fraction of what you would pay for annuals at the greenhouse. They are a great addition to your yard and garden and are a wonderful way to just practice the art of gardening. Besides amazing pops of colour they also add depth to the landscape. Depending on what you plant you will attract butterflies, hummingbirds, lady bugs and the most beneficial of all garden visitors, the humble bumble bee. There are a few things you need to know when you are buying seeds. You could just go and randomly buy seeds of all sorts of various vegetables and flowers and plant them all at the same time. And they will start to grow just fine. 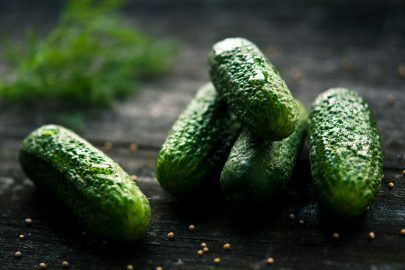 Then you notice the days are getting shorter and shorter and you still haven’t been able to harvest anything because the vegetables are tiny and unripe or perhaps the plants haven’t even set their fruit yet. Then your garden is hit with frost abruptly ending the garden season. You feel defeated and vow to never garden again. What went wrong? In that situation there were a few variables at play. The length of the gardening season and the maturity age of the vegetables and flowers you grew. Canada’s Frost Chart is a handy link to frost and freezing dates across Canada. It gives the approximate last day of frost in the spring to the first day of frost in the fall. Once you know those dates you will know how long your growing season is. These are important dates to know for buying seeds and planning out your garden and flower beds. You’ve looked at the frost chart and found how long your specific growing season is. You can now start planning when you will start your seeds indoors (I encourage you to try that out this season) and when you can safely plant your garden. For most of Canada that date falls somewhere in May. If you are lucky to be in the warmer areas of British Columbia you get an extra head start on the rest of the country with planting times as early as March and April! How does this relate to buying seeds? The next time you are out and see a seed display stop and take a look at the back of the envelope that the seeds come in. There is a ton of information on that envelope. All of that is important. but the one we want to focus on first is the maturity date. The maturity date tells you how long that plant takes to grow harvestable vegetables. 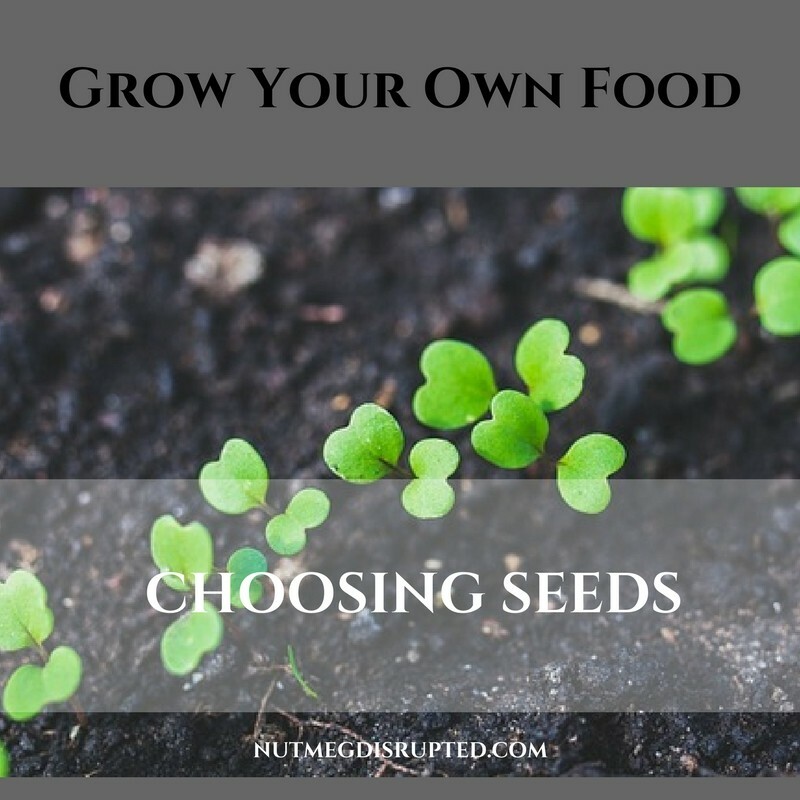 While looking for seeds you want to be sure to get seeds of plants that will mature within your growing season. You do not want to grow tomatoes that require 125 days to maturity if your season is only 100 days. When you are shopping take your time to read the information on the seed packages. If this is your first garden keep it simple. These are all fantastic first garden crops. Pumpkins are fantastic though require lots of room. Grow what you and your family love to eat! It is possible to grow vegetables outside of your growing season? Absolutely! It is a practice that is easy and inexpensive. 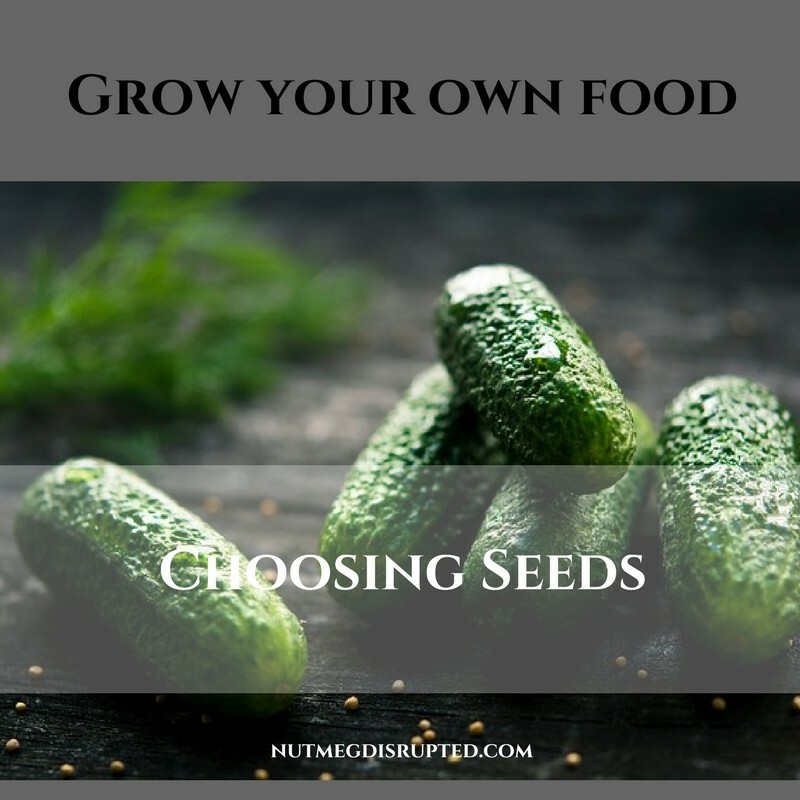 It not only extends your growing season it creates enormous savings and opens up the choices for what you can grow and successfully harvest. In our next article we will dive deep into the particulars of caring for any seeds you start indoor. But to get you started there are just a few things you need. I will start my peppers, tomatoes, celery, petunias, lobelia and any other annuals during the late winter months. Everything else I grow does well within my growing season so I seed those directly in the garden in May. Seed packages will state if that particular plant does not transplant well. You can buy seed starting trays and potting soil at most hardware stores. You want to look for potting soil that contain some amendments. Black dirt alone will not make for good growing and soil from your yard may have bugs, not something you want to introduce into your home. Potting soil is light weight and has a bit of water retention qualities, both important factors when starting seeds. With your seeds selected you can now sit down with your master plan and draw out your vegetable garden. Think about the height of the vegetables and plan accordingly. And don’t forget to add a few flowers to the mix for added colour. Cynthia, how fabulous to be able to grow something and save the seeds for the next season! It is a practice I have followed for many years. Especially flower seeds, they are so easy to harvest and I love being able to fill my yard with colourful flowers for next to nothing. May your 2018 garden be spectacular! And be sure to share pictures of it, I would love to see it! Nicole, I am so glad you have found the information helpful, I love when people are inspired to grow their own food. A few container plants on the deck is a great way to grow your own food! So many things do well in pots just be sure to monitor them for water as potted plants dry out quite quickly. And be sure to share pictures of your garden spot, it is a huge inspiration to others! Nicoletta, I have seen the pictures you both have shared of Loreto’s parents garden, they truly were master gardeners. Your backyard is such beautiful spot, I always look forward to the images you share. I hear you, some years I do not have the time to start many seeds so I do buy some things, usually tomatoes and peppers from the garden center. My season is relatively short and if I can get a jump on things by buying plants many weeks old it is the way I go. Then at least I know I will have a good harvest and the plants will be putting out fruit many weeks earlier. Sean, so good to hear you are getting ready to have an amazing garden experience in 2018. A garden master plan definitely helps you stay organized, be sure to take many notes so you can look back through the years and see what worked best for your spot! I look forward to seeing some pictures of your success this year! Yes for most of the garden information you find here will be useful for container gardening on decks as well as in ground garden spaces. A roof top terrace garden sounds wonderful! I have seen many chefs have very successful rooftop garden plots, with the full sun on the space it would make for some spectacular gardening! If you have any questions about it please feel free to contact me and I can walk you through it or answer any questions you may have. Thanks for the tips – I am a horrible start from seed gardener – I can’t seem to make it work, or I wouldn’t harden the seedlings off quite right! I must admit, I am more of a bought-seedling kinda gal these days! Very nice (and very timely) to see this. As I write this response I’m sitting next to a couple of rows of seed starters with bok choy, gailan, collard, and (most excitingly for me) cardoons all sprouting up. I’m really determined to be more organized and effective with my gardening this year – so thanks for the wonderful resource! Cheers. This is such an excellent resource! Do these strategies also work for a rooftop/terrace garden? Unfortunately, I don’t have a piece of land to plan seeds in. I agree completely, there is something so satisfying when you grow your own food. It gives such a feeling of accomplishment taking bare ground and creating a space that can feed our families with just seeds and water. Gardening is my therapy, I wrote about how I started gardening in A Blank Slate post a few years back. Thank you so much for stopping by! May your 2018 gardens be spectacular! This is such a great resource with a lot of useful tips. I feel inspired to plant a couple of pots on the back deck now. Thanks for sharing!! Loreto’s mom and dad were masters in starting growing vegetables from seeds and then transplant the little plants in the backyard garden. Always an amazing crop they had. This year we’ll start some too, and then have a few planters or containers in our backyards. So excited! There is this feeling you get when growing your food, starting from preparing the ground , placing in the seed, watering , tendering while watching it grow, harvesting and finally making a meal out of it. Its usually a combination of joy, pride, achievement and so many other feelings that i cannot put down in writing. But thats why i grow (some) my own food. Thank you Agness! It is a great time to try and grow a plant or two. Tomatoes are a wonderful place to start as they are available in greenhouses or garden centers in many sizes which is great as you will get tomatoes sooner and they will fruit for a bit longer since they are a bit more mature of plant. They do well in containers just be sure to water daily when the weather is really hot. Herbs are also a wonderful addition, you can buy then in small containers so picking up a nice selection is fairly inexpensive. Not only will you have fresh herbs all season you can also dry the leaves and make your own dried herb collection for in your kitchen. And as always, make a little space for a few flowers! Petunias are a wonderful choice as they are hardy to changing weather, they grow like mad, and come in an amazing aray of various colours. A few petunias combined with a few lobeilas can make a bright cheery statement in any growing space! There is also a ton of helpful information in the Know Your Zone, article one of this series, and if you ever have any type of gardening questions please do feel free to reach out, I would love to help in any way I can. Maresa! I am lucky to have had over sized gardens so I had the extra space for flowers. They really do add not only nice colour to the garden but the bees they attract are welcome as well. Bonus is if you plant chrysanthemums, they are an organic pest control option. They naturally produce a chemical called pyrethrin that insects dislike but it is safe for mammals and birds! Perhaps you can use that information in your battle for garden space with your hubby! Perhaps some flower containers or hanging baskets on shepard hook hangers might be another option? I have also seen some half containers that you can add to a wall or fence. All good options! I am getting excited for the season as well. I am starting a few things soon to get a bit of a head start though with the foot and a half hit of snow this past week makes one feel like Spring is never going to arrive. I guess all the better to get those seeds started soon. In the next article of this series I discuss everything you need to start seeds indoors to get a head start on the season, I hope you pop by! Thanks Maresa, have a fantastic weekend. Markus so good seeing you here! Simplifying is a great! That is were I currently am in my gardening adventures. Long gone are the days of my 4000 square foot garden where I grew everything. Though if I had the time and the space I would garden like that again. Thanks for stopping by Chef! May we all have a spectacular garden in 2018! Sharon! Great seeing you again! As I mentioned in the Know Your Zone comments tomatoes, peppers, lettuce and baby carrots as well as herbs are all great options for you to try container growing. With being in a zone 8b you have a lot of choices so you can really get creative and try growing a number of different things. If you are looking for adding some height to your container garden pick up some bamboo poles at the garden centre and try growing some pole beans. They are very easy to grow and add some nice visuals to the space. You could fill the bottom of the pot with some colourful petunias and lobelia to really add a nice touch of colour. As for the 2 year old seeds there are a few variables that could affect if they will grow or not. How have they been stored? Where they fresh when you received them? Those things matter but with gardening there are always exceptions to the rules. The only sure way to know if they are still viable is to plant them! Mother nature is quite amazing and even miss handled old seeds (I have a few containers of old old seeds that I will plant just because, I love pushing the boundaries aka: gorilla gardening) can sometimes still sprout and grow! It is definitely worth a try. I’d love to hear if they sprout for you! Hi Maria, it is definitely time to get seeding the plants that take a super long time. And yes, flowers are such an important part of our edible landscape, the more bees we can attract the better the harvest. As for the flowers, I like to have a lot not only in the ground but in containers as well. It is nice to add pops of colour in unexpected places with flowers. Since I do use so many growing from seed is a great way to have as many as I want for a few dollars. They sure can add up when shopping at the greenhouse. I’d rather save my money for buying trees and shrubs. Thank you so much for stopping by! I hope whatever you grow this year is healthy and abundant. I have always wanted to take up growing my own food and your post is so inspiring, Redawana! Excellent tips and a very intriguing post! I have to fight my husband to carve out a little space for flowers in our veggie garden… you’re getting m so excited for gardening season! Great tips! I have all my seeds picked out already going to try and simplify my garden a little and focus on what I know I can grow! Awesome insight! I have some seeds given to me by a friend about 2 years ago, do you think they are still usable? I really would like to plant a couple of containers this year on my balcony. Are there certain plants that work better in smaller spaces? I am thrilled to hear it’s already time to start thinking about seeds and gardening. You know, it’s true what you say about the flowers… I always forget to start them indoors. Thanks for the reminder and thanks for this great post. Very informative! And thank you for the reminder to start seeding! We grew a winter squash which we harvested last fall and are saving the seeds.